In May/June of this year (2012) we visited our son Scott and his partner Sven in their new home in Vancouver. Vancouver is a vast conurbation with many outlying districts. However, Scott and Sven had found a nice apartment at Victoria and 41st. Yes the Canadians have adopted the American habit for naming city streets. The streets running west to east are numbered from 1st Street counting up as you go further north. Whereas the north/south running streets are all named. 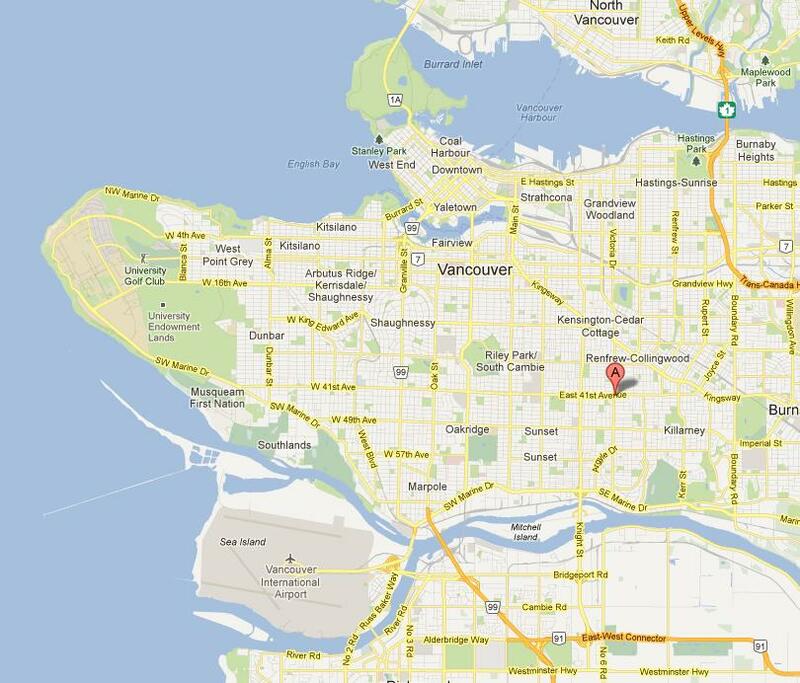 So within the fairly well organised grid pattern (see the Vancouver map) it was quite easy to navigate around. The area where Scott and Sven live is predominantly a Chinese area which meant we could get great Chinese food at rock bottom prices any time we wanted. The other thing that Canadians do well is their public transport system, and we found with the use of a travel card, that we could get anywhere we wanted using a combination of busses, trains and even ferry services across the bay. Although we had originally intended to hire a car for our 3 week stay, we decided that it was easier to use the buses and we didn't have to fight to find a parking space. We spent the first week at Scott and Sven's apartment looking after the cat while Scott and Sven set off for a well earned holiday on Vancouver Island. We spent most of this time visiting the tourist areas around Vancouver and winding down the jet lag from our trip over. However, the next week we hired an Avis car and set out on an adventure visiting sites along the old 'Gold Trail'. I have to say that at £176.00 for the week, the car was a peach and we had a great trip out and saw some awesome and interesting sites. 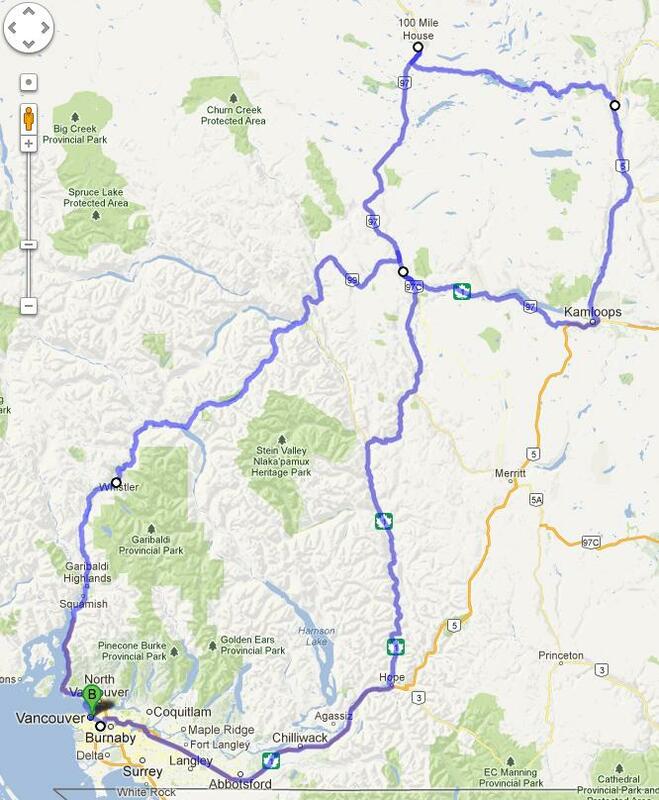 Here is an overview of the route we took over the course of our week away.